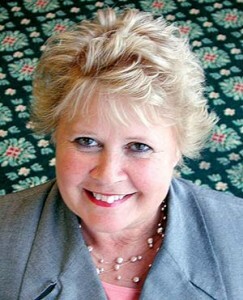 During Marsha Daves’ SkillsUSA career she filled many roles, including: first recipient of the Marsha Daves Lifetime Achievement Award, SkillsUSA Board of Director member, Chair of the State of Oklahoma Director’s Association, recipient of the Honorary Life Award, and her final role as Director of Education and Training with the national SkillsUSA staff. To the students and colleagues that were able to work with Marsha, her role was truly an educator, advisor, and mentor. SkillsUSA is pleased to be offering one annual merit-based $1,000 scholarship for college/postsecondary education and a supplementary $500 travel stipend for NLSC to a state officer in memory of the legacy left by our champion Marsha Daves. The scholarship will recognize how SkillsUSA student leaders are empowered by the skills they have gained through their association with SkillsUSA to fulfill the mission of becoming world-class workers, leaders and responsible American citizens. The Marsha Daves Memorial Scholarship is open to current SkillsUSA state officers who will be attending a college/postsecondary school in the next year. Videos are limited to one to two minutes in length. Creative editing is encouraged and a professional presentation is expected. A judging committee will review the nominations and announce the selected winner prior to the annual SkillsUSA National Leadership and Skills Conference in Louisville in June. An award check for $1,000 will be made payable directly to the college/postsecondary school. The winner will be notified by May 15 and asked to attend NLSC, using the $500 travel stipend, where he or she will be recognized during the delegate sessions. All video applications must be submitted after the applicant’s information sheet with their state director’s signature of nomination and a letter of recommendation from their SkillsUSA mentor, such as an instructor, advisor or state association director. Applications must be received by May 1. If you have questions, please contact Marcia Strickland at mstrickland@skillsusa.org.